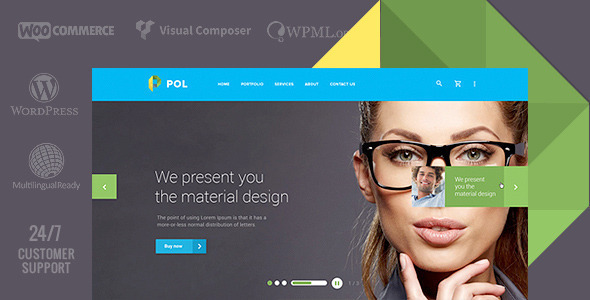 Pol is designed for all lovers of bright material design! It’s a aniversal theme suitable for corporate websites, online stores, personal portfolio, agencies, start-ups and many others.This WordPress theme is fully responsive with 16 flexible navigation layouts. It has Advanced OnePage builder with multiple sections and comes with full retina support.It’s highly optimized for speed and it has Extended breadcrumbs options.